#3 Reveals Hidden Customers – You can bring to your website potential customer that you might not have even considered. Targeting the correct visitors to what you offer is the toughest part of any marketing campaign. 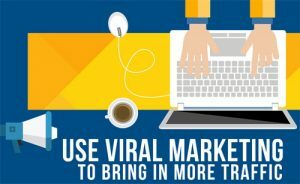 Viral marketing is powerful in that it continues to spread among people and within that spread will be hidden customers you would never have gotten any other way.